Portugal are out of the World Cup after losing 2-1 to Uruguay this Saturday evening in Sochi, Russia. The "Selecção" managed to control the game, but couldn't handle Uruguay's firepower upfront and succumbed to Cavani's double. 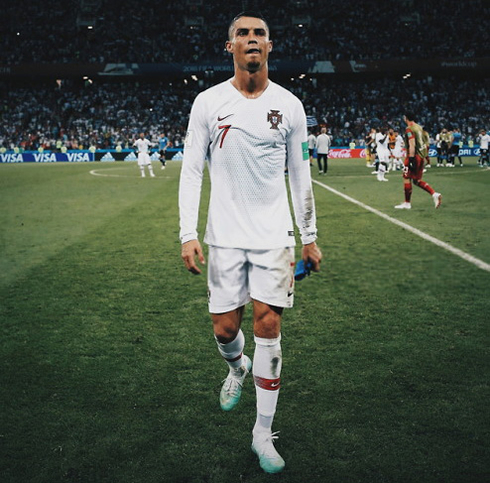 It was most likely Cristiano Ronaldo's last opportunity to shine at a World Cup level, but there was not much he could do last night to prevent Portugal's exit from the tournament, as Fernando Santos' men got defeated 2-1 by a very solid and organized Uruguay. The Portuguese dream started being shattered into a thousand pieces when Cavani broke the deadlock early in the first half, but the Portuguese still reacted with the equalizer in the 55th minute, when Pepe scored from a header. However, that joy didn't last long and Cavani would strike the last blow shortly after and sealed Uruguay's 2-1 win on the night. 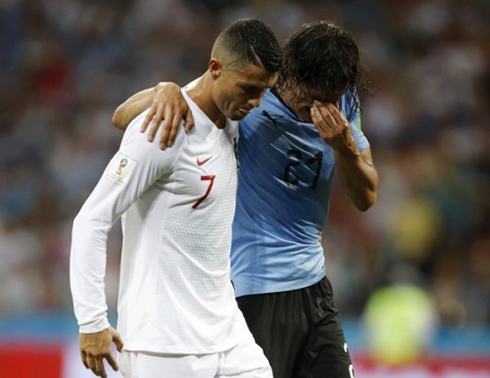 Oddly enough, this was one of the better knockout performances from Portugal in recent years, but their luck ran out as they lost to a spirited Uruguayan side lead by Edinson Cavani and Luis Suarez in attack. Edinson Cavani was the star of the match, scoring a brilliant header to give his country the 1-0 lead only 7 minutes in, then capitalizing on a Pepe mistake to finish off the match. 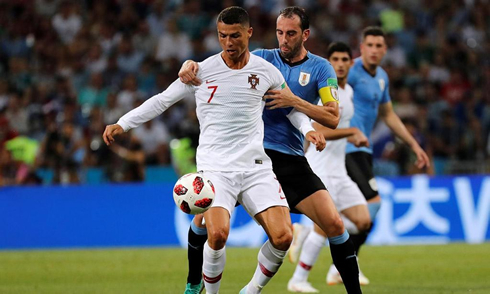 Portugal's lone goal came from Pepe from a corner, but it was his crucial mistake late that gifted Uruguay the victory. Ronaldo was stifled today by their brilliant defense. Diego Godin and Jose Maria Gimenez were both fantastic at the back and they defended well as a team. For Portugal, it was the early goal that killed them. Raphael Guerreiro has been really poor this tournament and he lost Cavani in the box which led to the opening header. That goal really knocked Portugal off of their game and forced them to commit to attack sooner than they likely would have wanted. 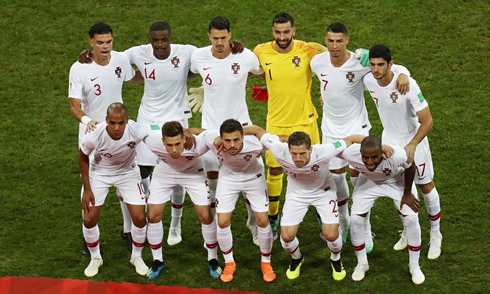 Their South American rivals were more than well prepared and in the end, Portugal could not really break them down. 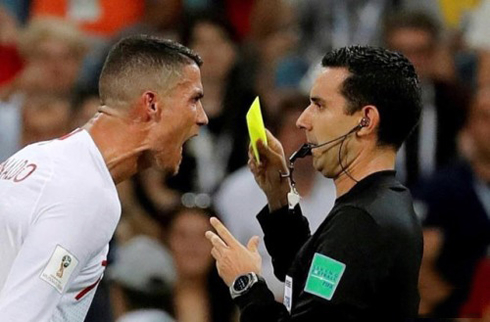 For Ronaldo, it's a sour end to a tournament that started so brilliantly, but the signs were there for Portugal all along. The poor performances vs Morocco and Iran already showed their level and unlike 2016, there would be no heroics. Pepe and Fonte are just too old at this point to really anchor a defense, especially when they are up against pacey forwards. Cristiano Ronaldo next game for Real Madrid is on July 31 of 2018 against Manchester United. You can watch Juventus live stream, Manchester United vs Real Madrid, Nigeria vs Argentina, Brazil vs Mexico, Iceland vs Croatia, and Sweden vs Switzerland, all matches provided from our soccer live game pages.